New stuff . 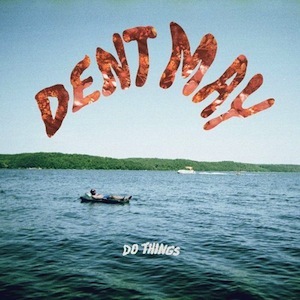 . .
DENT MAY – Do Things (paw tracks) – Full Album stream on Spin. Playing at Bryan St. Tavern on June 15th with Browningham & Dim Locator. JAILL – Traps (sub pop) – Summer-time feeling follow up to 2010’s That’s How We Burn. Besides the single “Waste A Lot of Things”, stand outs include “Perfect Ten” and “Haunting which has a video (below) playing with The Coathangers on August 3rd at Bryan Street Tavern. NIGHT BEATS/TRMRS – Split 7″ (volcom) – colored vinyl. SINGLE MOTHERS – Christian Girls 7″ (secret voice) – Playing at La Grange in July?? This entry was posted on June 6, 2012 at 2:25 pm, filed under News and tagged dent may, jaill, king tuff.